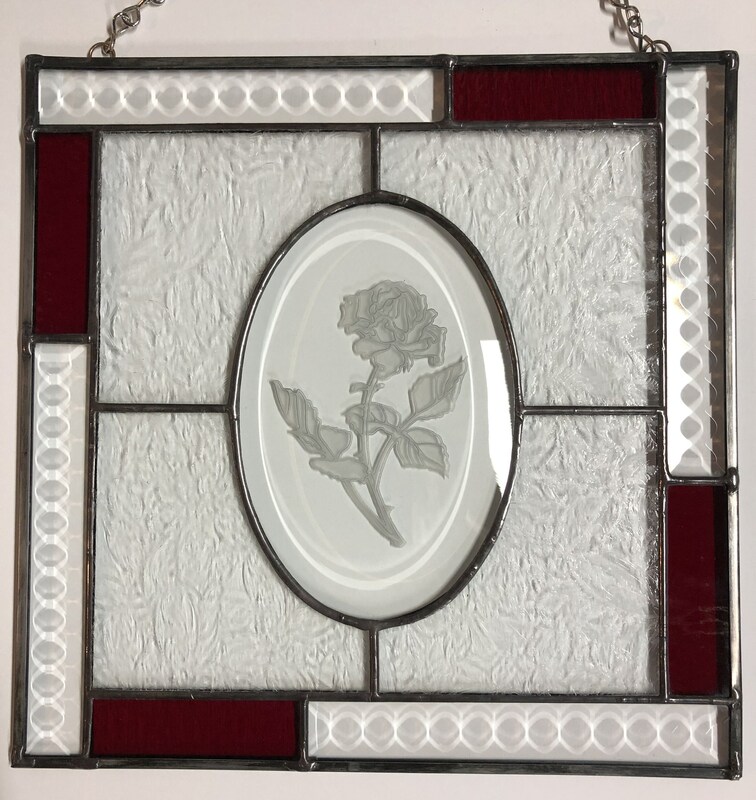 This 10" x 10" panel features a carved rose in the center on a bevel oval. 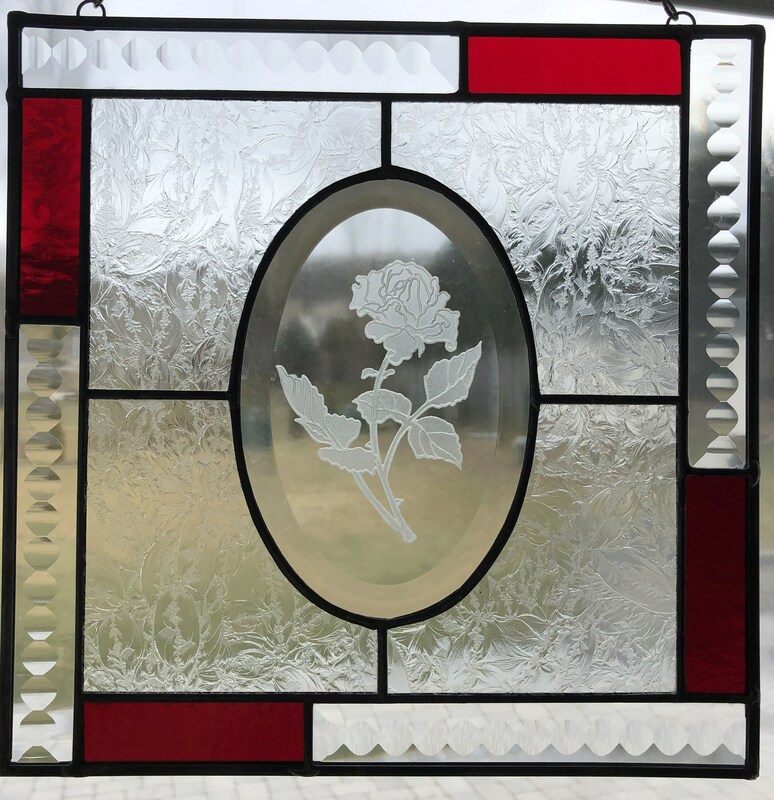 The border features bevels and glass. 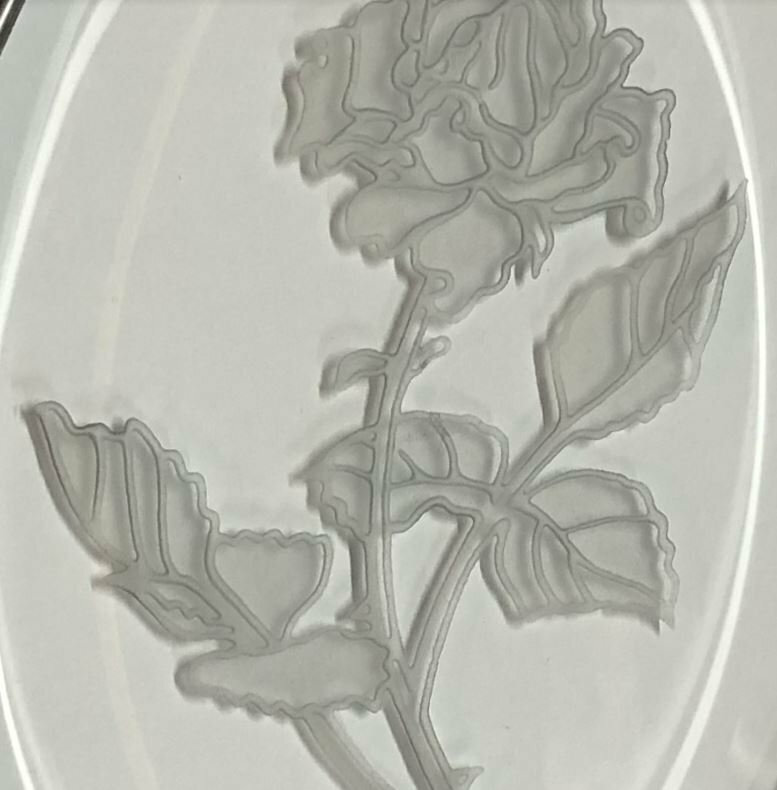 This was handcrafted in our studio on 2/10/2019.